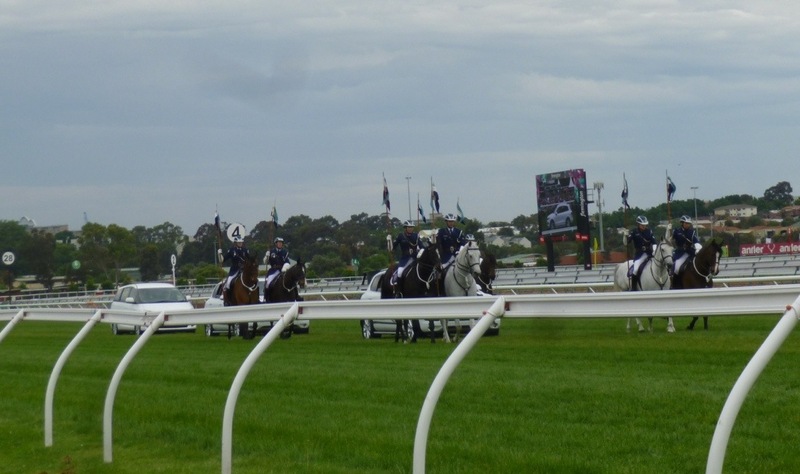 “Well,” said my Aussie friend “if you’re going to be in Melbourne the week of November 5 then you’ll be going to the Melbourne Cup!” And so I did. 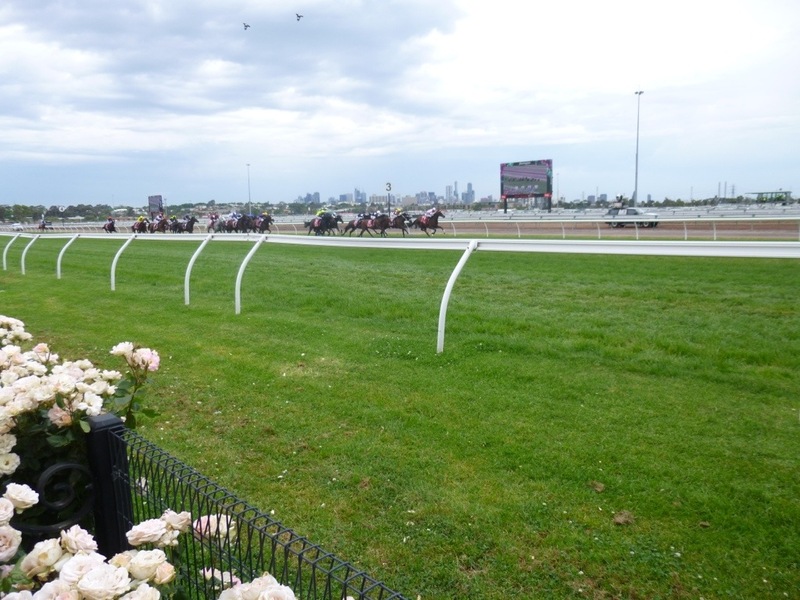 The Cup is a week of high stakes horse racing that’s celebrated in Melbourne as ‘Carnival’ and includes several special days – Ladies Day, Derby Day and The Day the Nation Stops for the $6M plus Emirates Cup race. 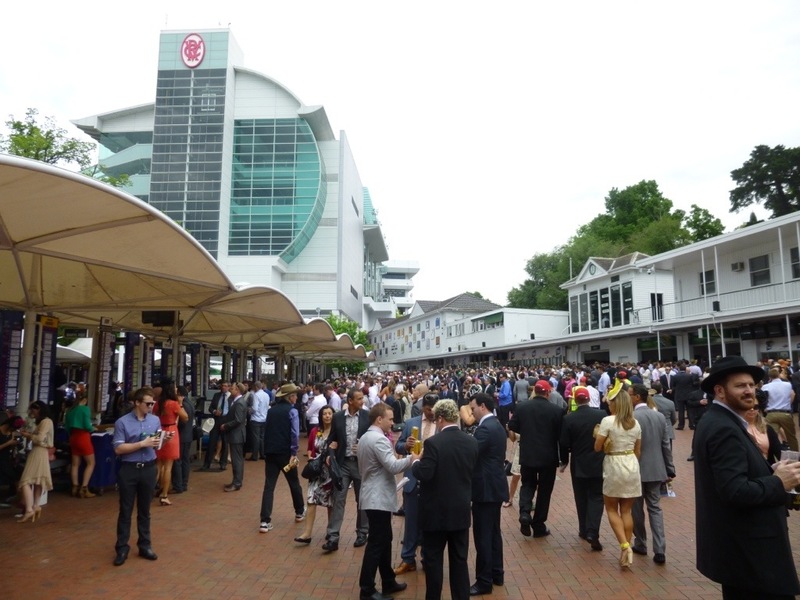 Having written away some months ago I was the happy holder of a ticket to the Emirates Cup day. Arriving in Melbourne late the previous night and not being oriented to the city yet, I wondered if I would be able to find my way to the track. 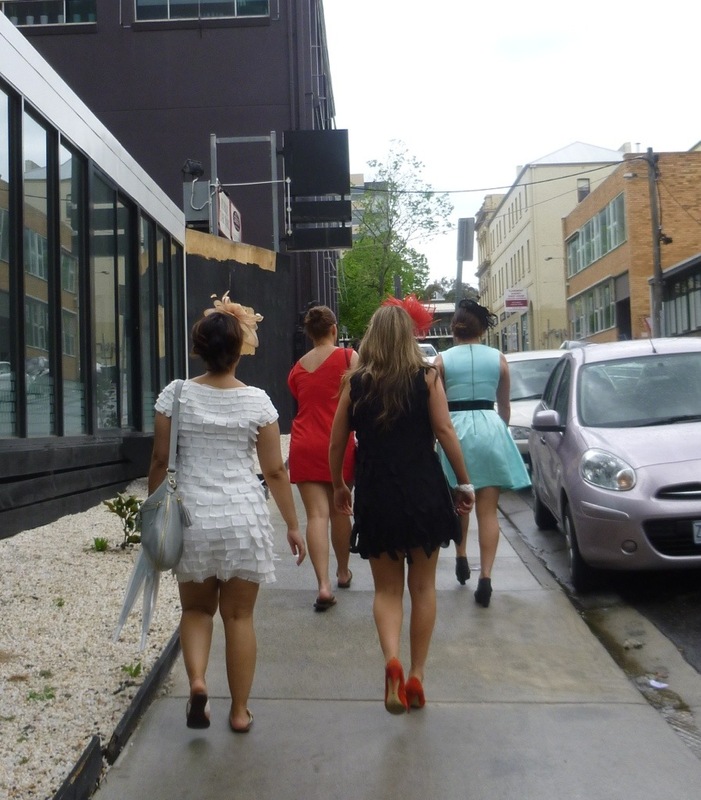 I was instructed by the hotel concierge to “Follow the punters in the hats!” so I followed this group of excited young ladies. …and for good reason. This is some kind of party! 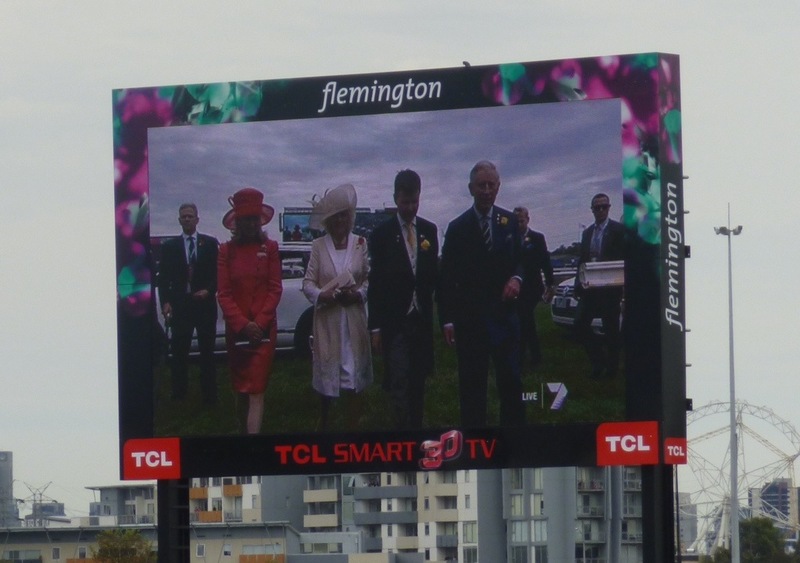 There were 106,014 ‘punters’ at Flemington for this race, including luminaries like Nicole Kidman and cousins from across the pond – Charles and Camilla. So everyone dresses. 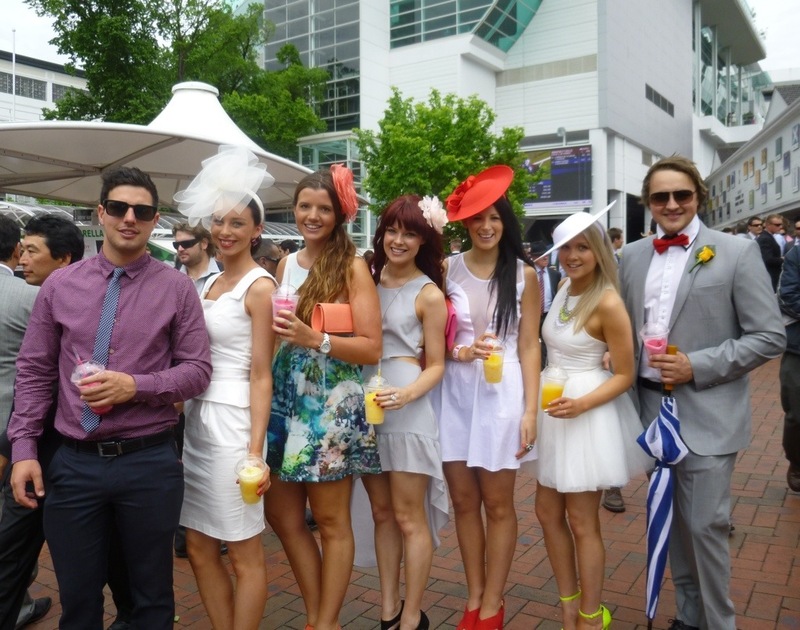 I’m always respectful about asking before I take a photo and not only was everyone very obliging – they posed! These delightful young ladies were really tickled when I asked for a picture. And this accommodating group lined up and then re-arranged themselves to make sure my photo would come out just right! 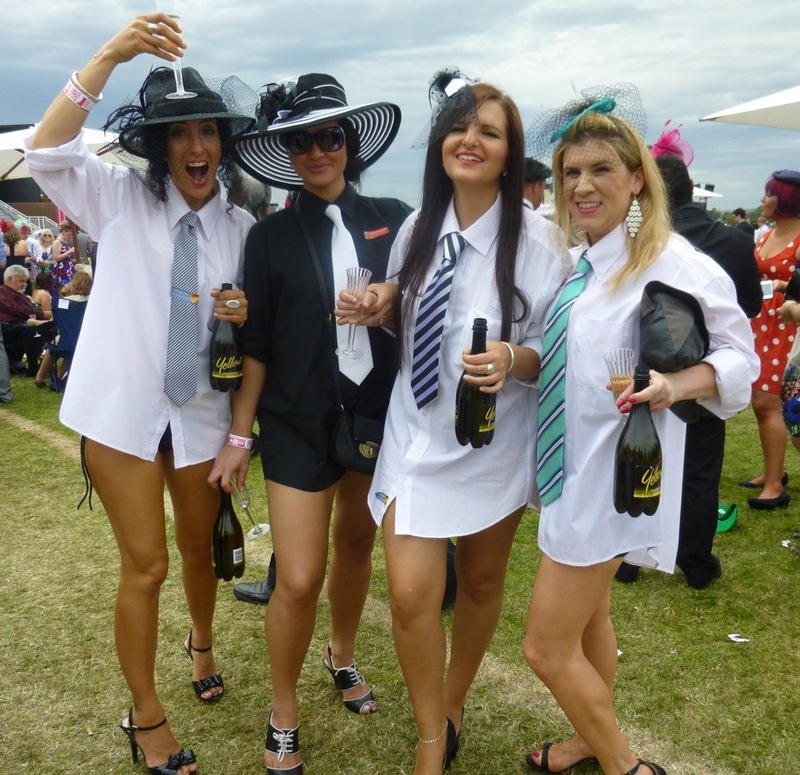 There’s a definite dress code for the day – hats for the ladies and ties for the fellows. Tattoos are optional. Is this a cute couple or what?! 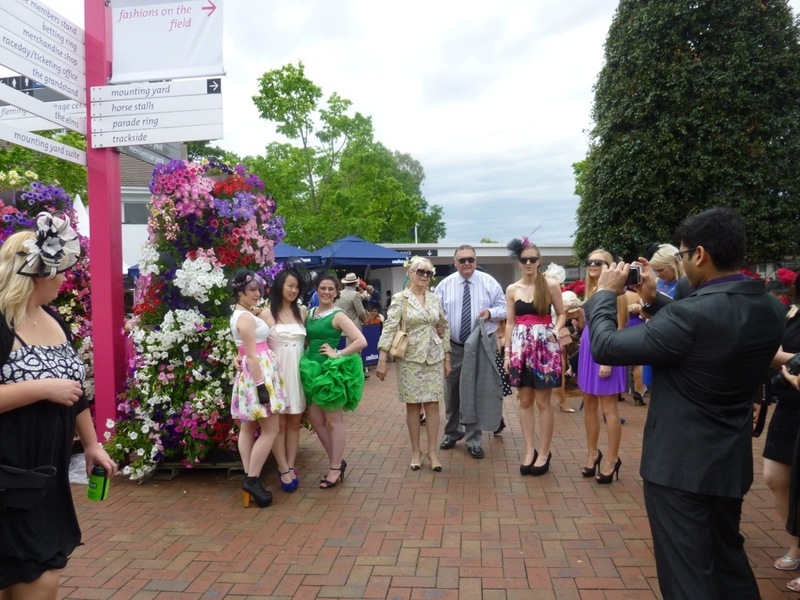 One of several photo stations, where people lined up to have their photo done around the gorgeous flowers and the race day signposts. The scene in the plaza outside the stadium where people wandered around to see and be seen, ordered bottles of champagne and made their bets. 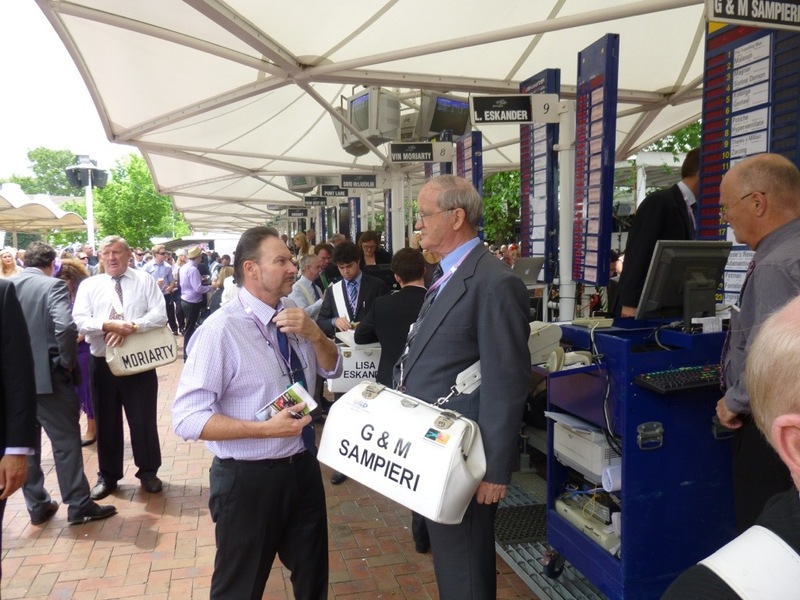 I was surprised to see a long row of these guys – bookmakers! Not only is it perfectly legal but they pay taxes for the priviledge. Such a civilized country. 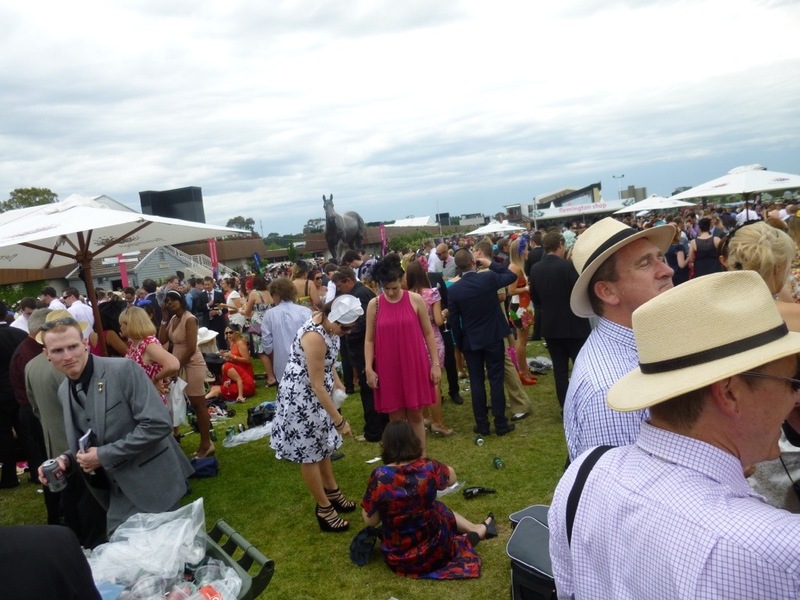 These stands look cool and comfortable, with a great view of the track and all the A-listers. Tickets go for hundreds or thousands of dollars. 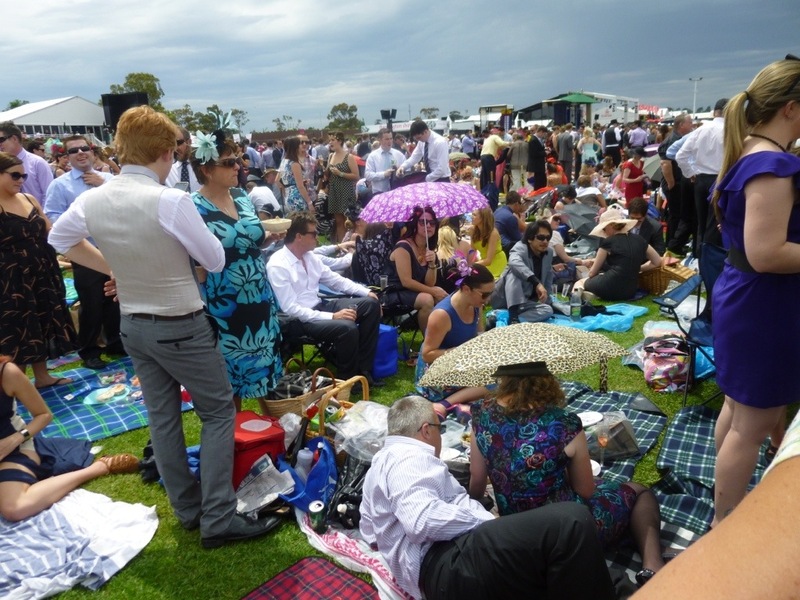 But the real fun is to be had picnicking on the lawns with the real people. Most of these folks arrived before nine in the morning to stake out their blankets and baskets. Did I mention there is a dress code? Hats for women and ties for men…or variations thereof. 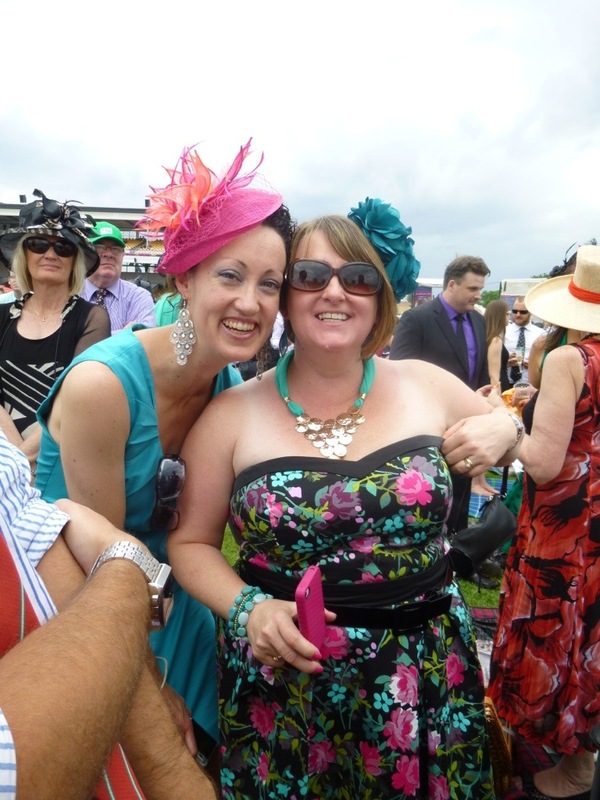 This is Ruby Delight, hat maker by trade wearing one of her own creations. I had a lovely chat with her while she pointed out her designs in the parade of passing chapeaus. This is a very big day for Ruby. 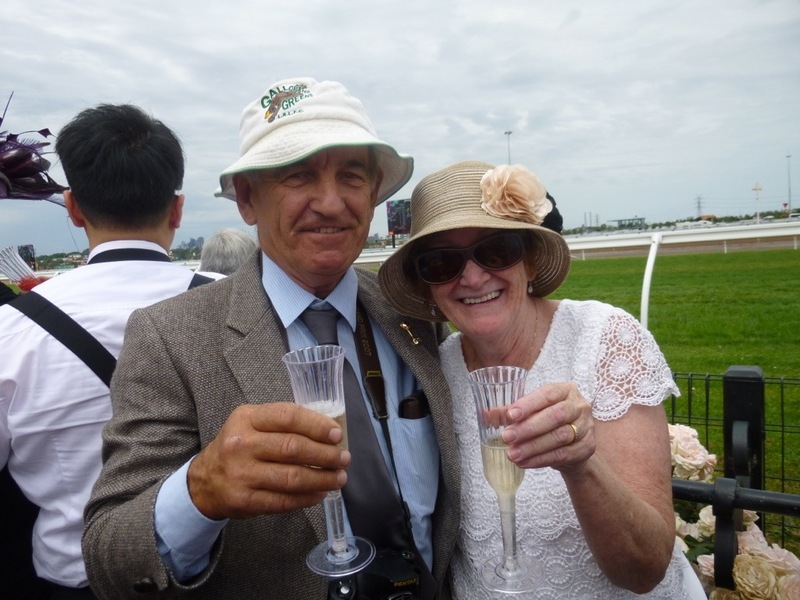 I was very lucky to make the acquaintance of Jan and her charming husband. 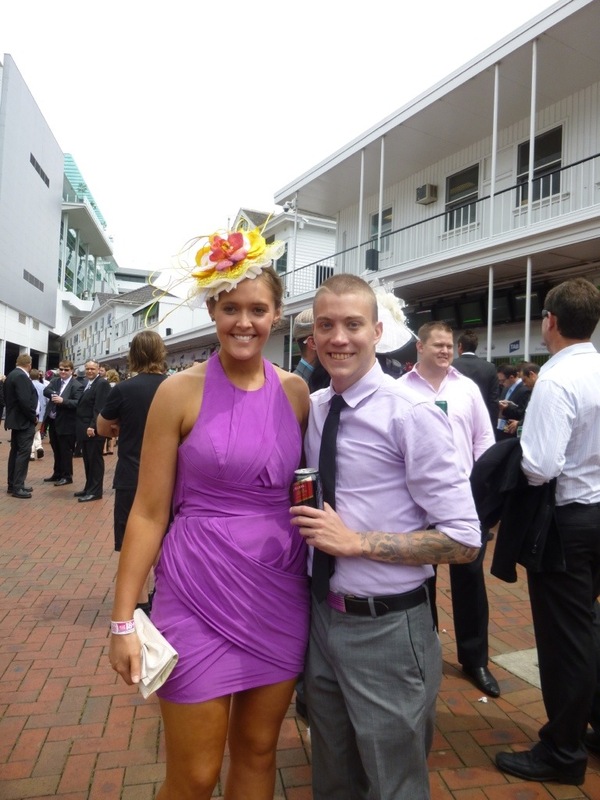 They are Aussie’s and this is their first Melbourne Cup, too. 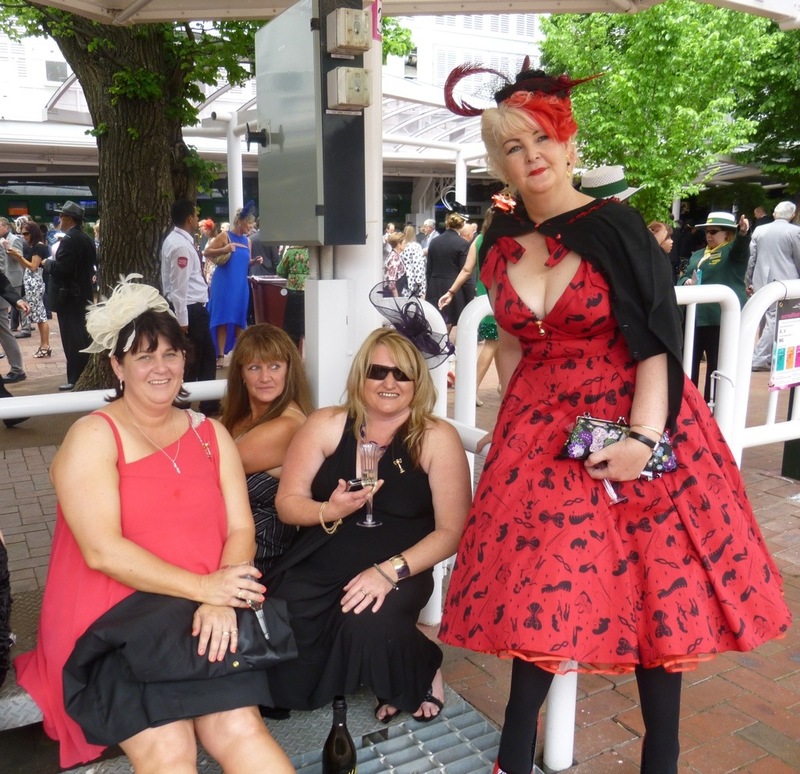 They placed bets for each of their seven children and they took me under their wing, too inviting me to share their coveted space at the rail so that…. 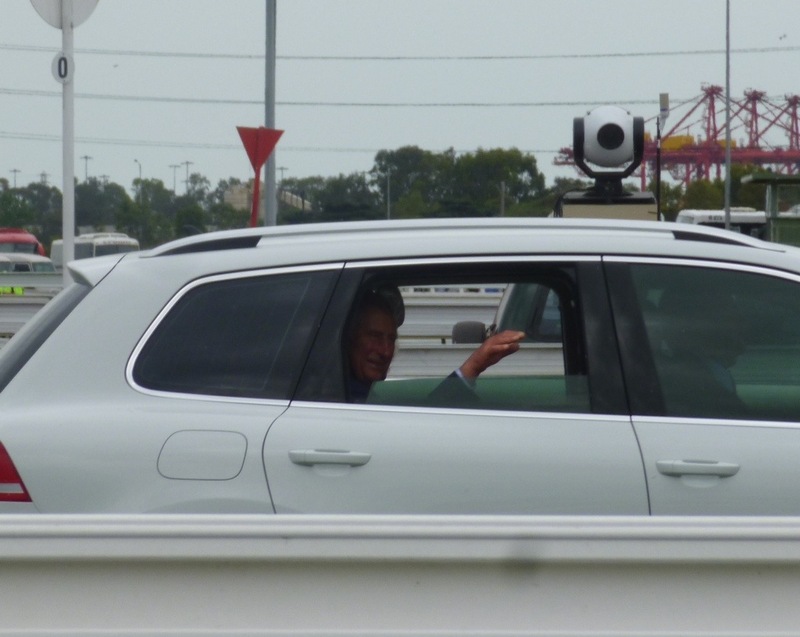 …when Charles and Camilla drove into the track right past us, we were all this close! ‘War Horse’ is coming to Melbourne. The live stage play will start in December. 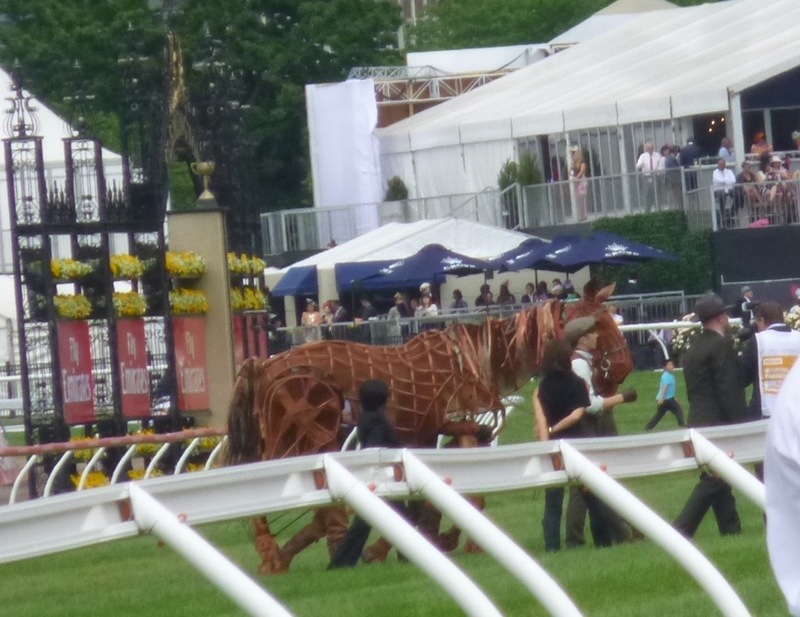 They’re holding rehearsals now so the War Horse was here to welcome The Royals. Yes! There is actually horse racing going on here and to make the big race of the day more interesting I put $50 on the long shot. 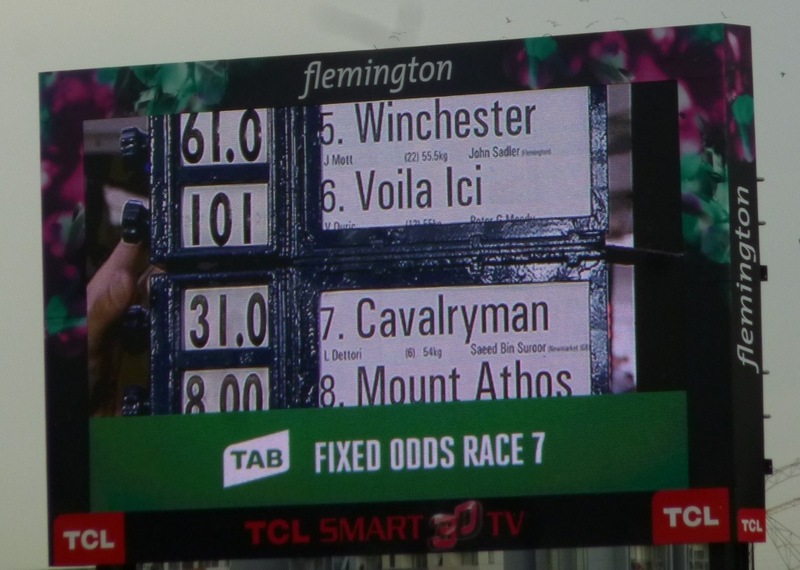 I thought it was a good omen that the name of the horse is french. I might have been the only one at the event who knew how to pronounce it. Imagine winning on these odds! No worries. Voila Ici came in solidly – if belatedly. The big prize was taken by an Australian horse Green Moon, with none of the favorites doing particularly well. Jan and her hubby didn’t win either but the odds were pretty good of one of their kids winning…and one did, which made their day. And then, just like that the party was over. At least for today. There will still be several more days of racing through the week. I saw lots of this on the way out! 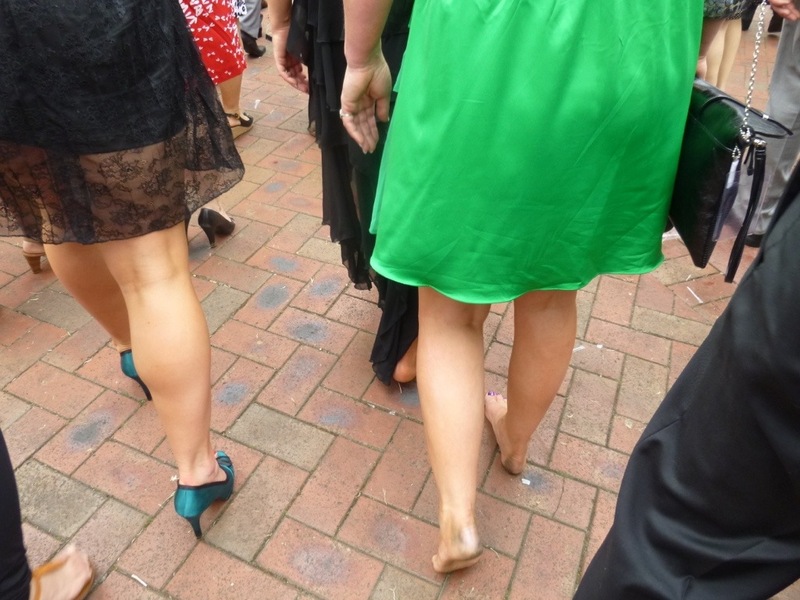 The smart girls had flip flops in their picnic baskets. A nice bit of entertainment on the way to the train to cheer you up. Just in case you lost $50 by betting on the long shot. Wow, what an event. 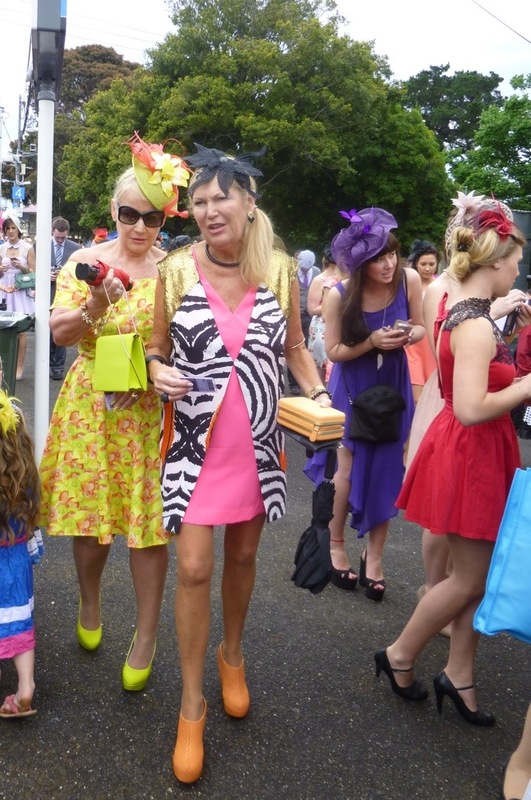 I love all the beautiful outfits and what fun those hats are. Looks like a wonderful time. 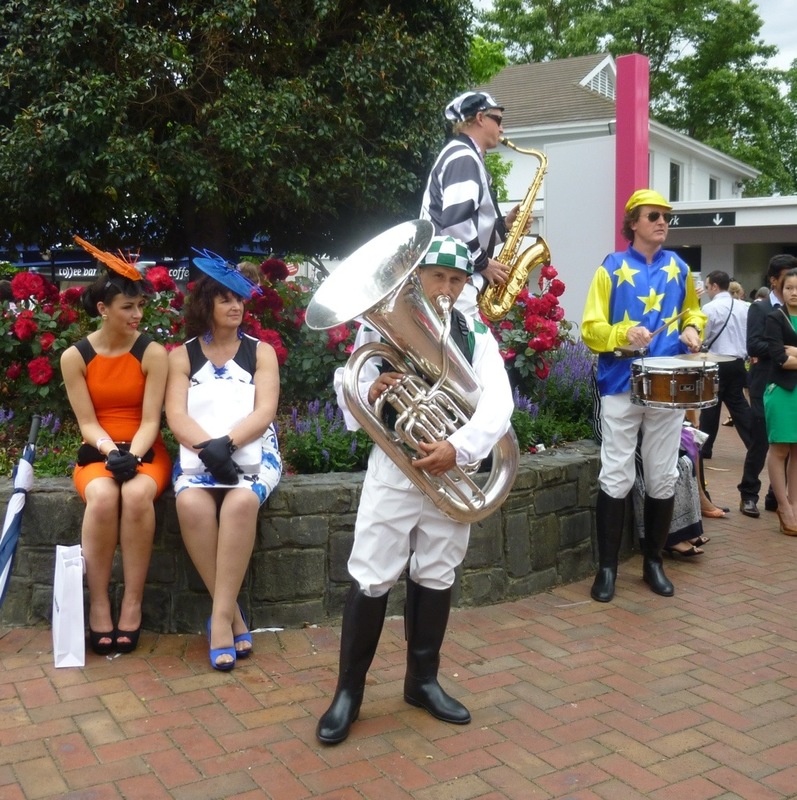 Wow – what a day at the races. Give a whole new meaning. 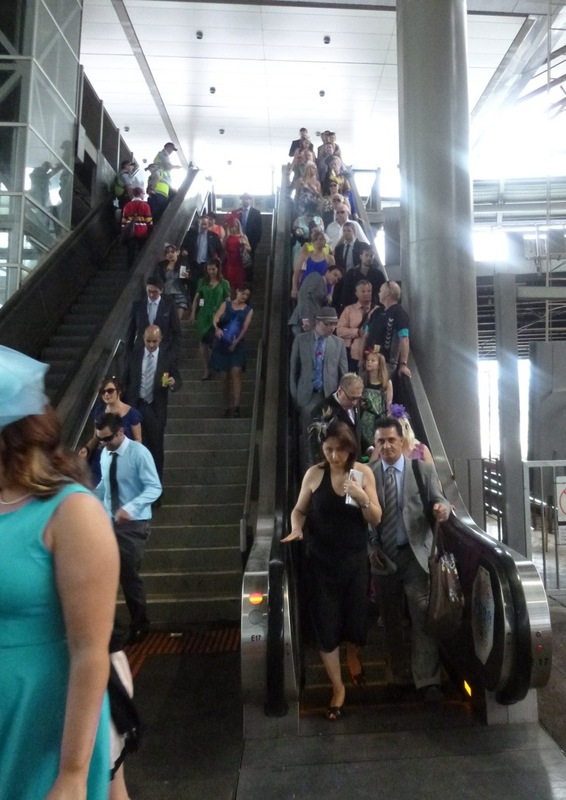 Pictures were awesome – love the dresses and hats – too funny! Wow, Love all the fancy outfits and hats! What were you wearing?